Keeping things simple but beautiful, the Linden Rug Collection by Asiatic Carpets is a simple flatweave range which stand out because of their vivid coloured highlights. Each rug features a stylish accent colour which is woven into the flatweave and gives the rug its touch of something special. 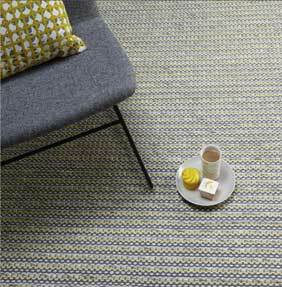 Each Linden Rug has been hand woven in India and is made from a combination of 90% pure new wool and 10% cotton. The combination of these two materials ensures each rug is both durable and practical, as well as looking great. The Linden Rug is part of the Natural Weaves Collection by Asiatic Carpets and this whole range celebrates practical flatweaves using natural fibres and yarns.